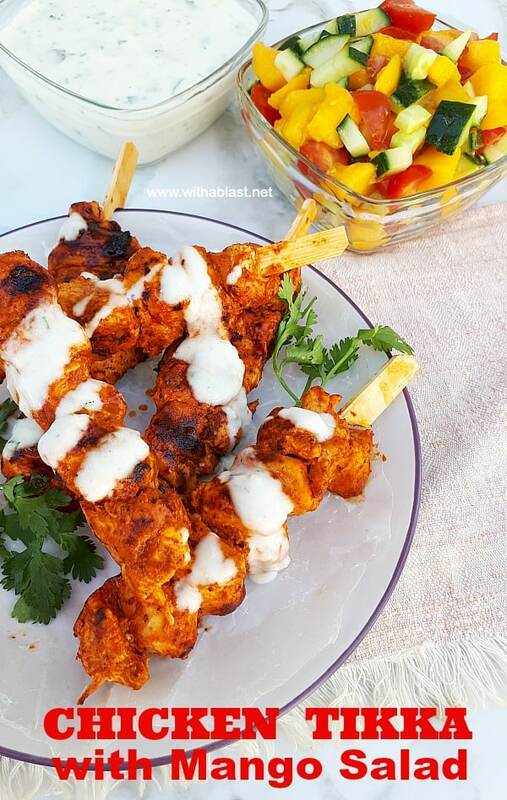 Chicken Tikka with Mango Salad is a delicious lunch or light dinner and perfect for Spring. The spicy Chicken on a stick can be grilled on a health griller, in a griddle pan or on the barbecue. The absolute most delicious light dinner or lunch ! Chicken Tikka comes in so many shapes and forms, but we adore this Chicken Tikka with Mango Salad. Food on a stick is just so much fun, don’t you think ? It can easily be dipped in a sauce and is so easy to eat by hand. I have made Chicken Tikka in so many forms over the years, but this is definitely our favorite. What does Tikka mean ? It literally means bits or pieces. Usually Chicken or other types of meat, but it can also refer to vegetables. 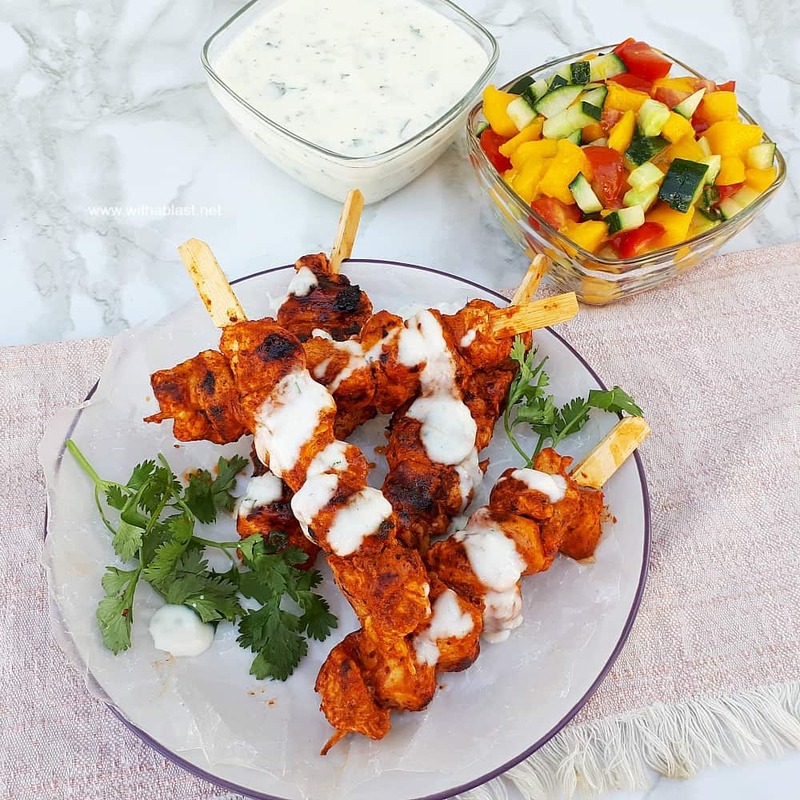 We usually enjoy this Chicken Tikka as is, with the Yogurt Sauce and the Mango Salad (which is more a Salsa) without any rice. Depending on the weather or how hungry your family is, serve the Chicken over Basmati rice together with the Sauce and the Salad. The serving size is for adults, therefore you can easily stretch the recipe if you have more kids than adults for dinner. Simply make the kebabs a little smaller. Something else to keep in mind is that the Mango Salad is extremely delicious and always a hit with the kids ! Consider making a double batch, I usually do and we do not even have little kids 😉 . The cooking options are just about limitless and another bonus ! Surprise your family with this outstanding meal, which is so perfect during the warmer months. And if they are already fans of anything Chicken Tikka, they will love this version ! Chicken tikka is such a good dish to make, full of flavour and deliciousness. Serving with mango salsa is ideal, as the sweetness of the mango goes perfectly with the spicy tikka. A delicious combination. I’ve never used tandoori paste before and am wondering if that’s readily available in the markets. That yogurt sauce sounds fantabulous — a cooling herbal foil to the chicken. Perfect summer meal! Love the spices and the mango salad sounds so good! Love this flavor combo! Tikka has been a favorite of mine for years! 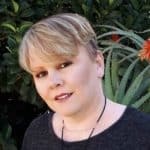 Your photography is beautiful! 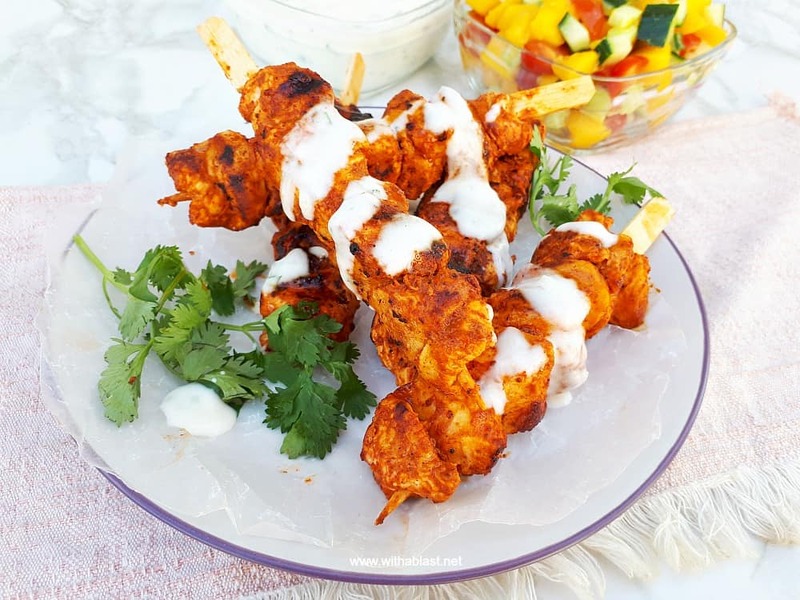 I am such a a fan of Chicken Tikka, I love how you paired with a mango salad! Delicious! I LOVE the sauce on this chicken! Such a delicious flavor profile. 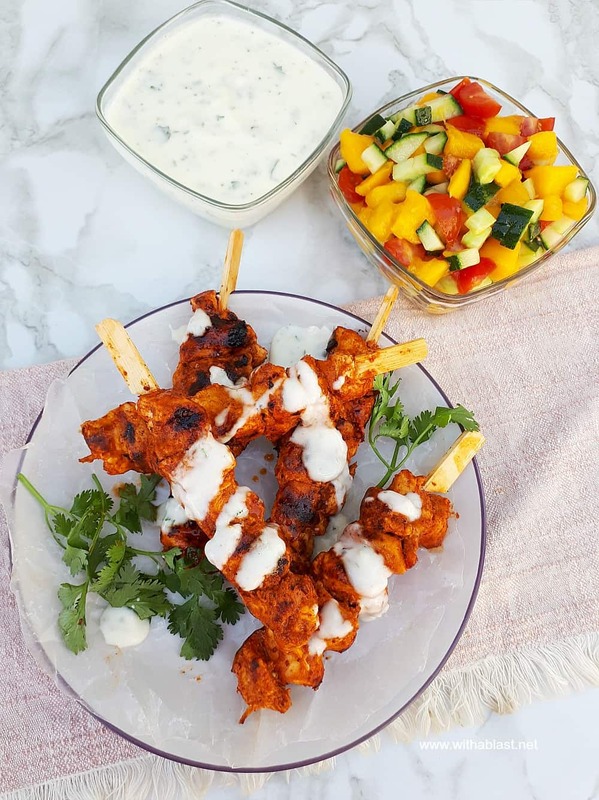 I’ve always been obsessed with chicken tikka, but I think my fav part of this recipe is combining it with the refreshing mango salad! YUM!